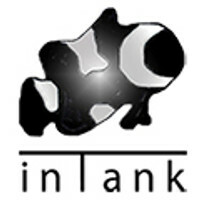 inTank, LLC is the sole owner of information collected on this site to purchase products and services from inTank. We will not sell, share or rent this information to any outside parties. inTank may use 3rd party services to send marketing communication to registered customers and account creators on this site. The information used for these communications is solely owned by inTank, LLC. By creating an account on this website you agree to receiving order, account, tracking, and marketing emails. Marketing emails have the ability to be unsubscribed. This is one area inTank takes extremely seriously. We use Secure Servers with Secure Socket Layer (SSL) transmission to secure orders from our customers. This enables us to encrypt any data sent to our web server, and in turn our server will encrypt any data sent back to your web browser. This is the highest level of encryption available to the general public. Our online shopping cart uses Digital IDs (SSL Secure Certificate) exclusively. For Visa and MasterCard the CVV2/CVC2 is a three-digit security code that is printed on the back of cards. The number appears in reverse italic at the top of the signature panel at the end. For American Express cards, the CID is a four digit number on the front of the card. This program helps validate that a genuine card is being used during a transaction. All MasterCard cards, both credit and debit, were required to contain CVC2 by January 1, 1997; all Visa cards must contain CVV2 by January 1, 2001. What does CVV2, CVC2 & CID stand for? CVV2: "Card Verification Value 2"
CVC2: "Card Validation Code 2"
Card-not-present merchants are being directed to ask cardholders for CVV2/CVC2 when cardholders place orders. Merchants ask the cardholder to read this code from the card. The merchant then asks for CVV2/CVC2 verification during the authorization process. The issuer (or processor) validates the CVV2/CVC2 and relays the decline/approve results during the authorization process. Merchants, by using the CVV2/CVC2 results along with the Address Verification Service (AVS) and authorization responses, can then make more informed decisions about whether to accept transactions.